New Jersey’s Borgata Hotel Casino & Spa has been awarded $10.13 million as a result of its summary-judgment legal victory over professional gambler Phil Ivey and a co-defendant in a lawsuit that traces its roots back to 2012, when Ivey and his gambling partner, Cheung Yin Sun, turned an illicit $9.6 million profit at the Borgata’s mini-baccarat tables over the span of four separate visits to the Atlantic City casino that year. The opinion awarding the $10.13 million in damages to the Borgata was signed on Thursday by the case’s presiding judge, US District Court Judge Noel L. Hillman. It was Hillman who ruled in late October that Ivey and Sun breached their implied contract with the Borgata to abide by New Jersey’s gambling codes, which according to Hillman barred the type of “edge sorting” scheme that Ivey and Sun employed. The pair’s edge-sorting scheme allowed them to identify the first card dealt in a hand with increasing certainty, and thus gain a probabilistic edge in the game. The decision, according to Judge Hillman’s opinion (which became available online today), was intended to force the return of the $9.626 million originally won by Ivey, thus making the casino whole. Hillman noted that since Ivey’s and Sun’s scheme effectively changed the rules of the game, there was no ongoing contractual obligation between the pair and the casino once the original conditions and odds of the game had been breached. The edge-sorting scheme transformed the Borgata’s mini-baccarat game, in which the house normally had an edge of a little over 1%, into a game where the odds favored Ivey (the official player) by as much as 16% in a given hand and situation. The additional $504,000 awarded to the Borgata was the amount that Ivey won at the casino’s high-stakes craps tables during his July, 2012 visit, the third of Ivey’s four trips with Sun to the casino that year. Ivey and Sun also admitted to using the same scheme in other casinos, in Las Vegas, Canada, Australia, and London. 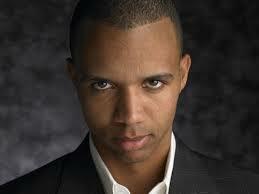 Ivey sued London’s Crockfords Casino over a $12 million win later in 2012 that the casino refused to pay. Crockfords has triumphed against Ivey in all rulings in that case to date, though the final decision is still subject to appeal. An appellate procedure is also still a possibility in the New Jersey case. As a side story to the damages assessed against Ivey and “Kelly” Sun, Judge Hillman also dismissed the Borgata’s claim against Kansas City-based Gemaco, which manufactured the cards used in the scheme. Sun was able to identify minor print variations in the cards’ back designs, which allowed her and Ivey to implement their scheme. Gemaco acknowledged no wrongdoing and asserted the cards were well within accepted industry standards. Gemaco also filed a counterclaim against the Borgata, which Judge Hillman dismissed as well. As bad as the $10.13 million judgment is for Ivey, Sun, and Sun’s backer, it could have been worse. Judge Hillman declined to award the Borgata an additional $250,000 the casino sought as compensation for comps the casino gave to Ivey and Sun during the four 2012 visits. The Borgata was also denied a claim for another $5.4 million in “expectation damages,” which represented the amount that the casino believed it would have won had all the high-stakes hands played by Ivey — more than 1,800 hands, at up to $100,000 — been conducted with the game’s normal, slight house edge. However, it is highly unlikely that Ivey would’ve played that many hands had his secret edge not been in place. Hillman, in denying that part of the claim, described the expectation damages as “too speculative” in spite of a statistical analysis the casino provided.